The episode of Vera I wrote for series 6 is into its last 2 weeks filming. An amazing guest cast have joined Brenda and Kenny for the episode. 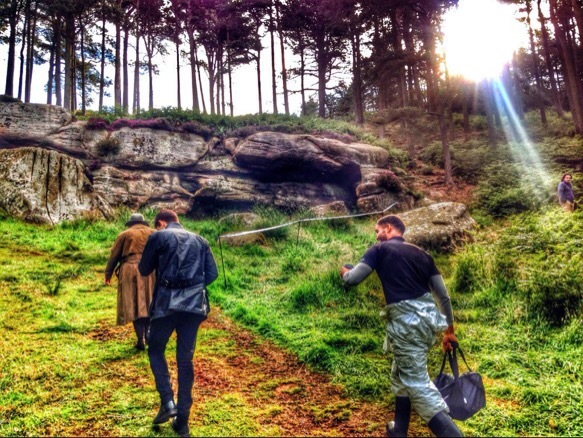 Keep an eye out on Twitter and Instagram for the #Vera and #Vera6 hashtags for some on-set shots and updates. Here’s one posted by Riley Jones (DC Edwards) from one of the locations for the episode. Brenda, Kenny and Kingsley doing their thing.